Assemble at 10 am on Steuart Street between Market and Mission (the block south of Embarcadero Plaza) in San Francisco for an 11am march to Civic Center, a headliner among the hundreds of marches, rallies, and events in cities across the planet on the weekend before San Francisco’s Global Climate Action Summit. 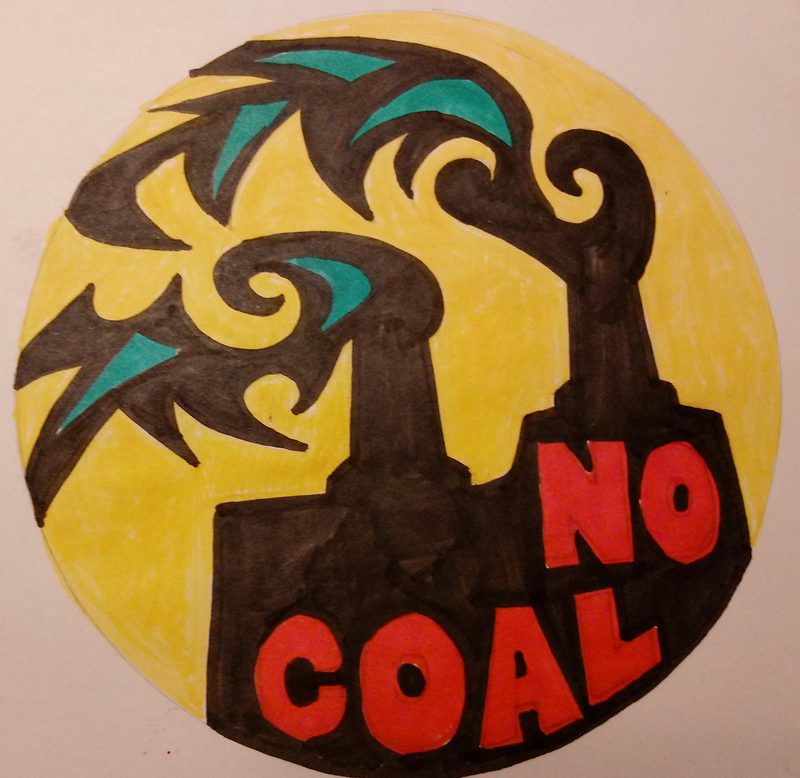 Look for No Coal in Oakland’s banners, including one showing the image beside this paragraph, the one we will paint as a street mural at the end of the march. When the march arrives at Civic Center, No Coal in Oakland will paint one of dozens of 35-foot street murals telling stories of how climate change, environmental degradation, and pollution affect each community participating in the event — an electrifying work of protest art scaled to our region’s central role in this year’s GCAS. We invite you to help us paint NCIO’s mural at the corner of Grove St. and Larkin St.
RSVP on Facebook to let us know you’ll be there!